Truckee (originally, Coburn Station) is an incorporated town in Nevada County, California, United States. The population was 16,180 at the 2010 census, up from 13,864 at the 2000 census. The town's original name was Coburn Station, commemorating a saloon keeper. 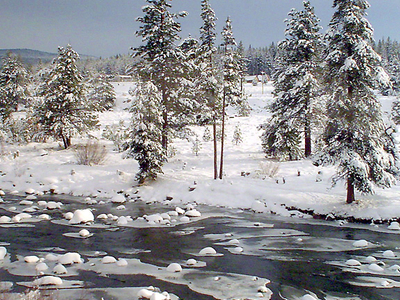 The Truckee River flows from Lake Tahoe for approximately 100 miles northeast to the border of the arid Great Basin of Nevada and Utah and into Pyramid Lake. 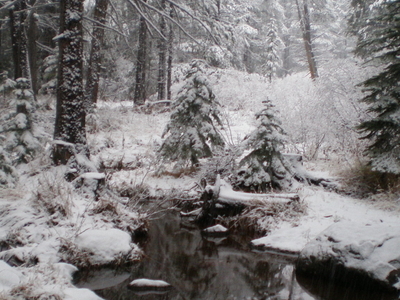 This water source formed a natural, seasonal route for Native Americans. Although no particular tribe is considered to have inhabited Truckee year-round, the Washoe Tribe occupied a large territory roughly centered in the modern Day Carson City area, but Shoshone and Paiute Tribes were also present (the Paiute Tribe Reservation now encompasses Pyramid Lake). These peoples are considered to be the primary source of Native American travelers in the area. Hobart Mills, just north of Truckee on Highway 89, has a large, horizontal, circular petroglyph of the type common to travel routes in Nevada. Here's the our members favorite photos of "Towns & Villages near Tahoe Vista". 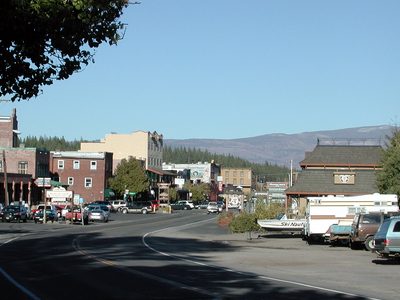 Upload your photo of Truckee!